Here at Razzle Dazzle Rose we pride ourselves on our Eco- Friendly reputation and always strive to maintain this ethos in everything that we do. 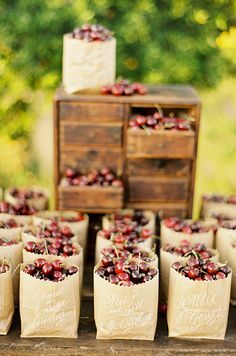 There are lots of great ideas for making your wedding as environmentally friendly as possible and we thought we would share some of our favourite tips and ideas with you. 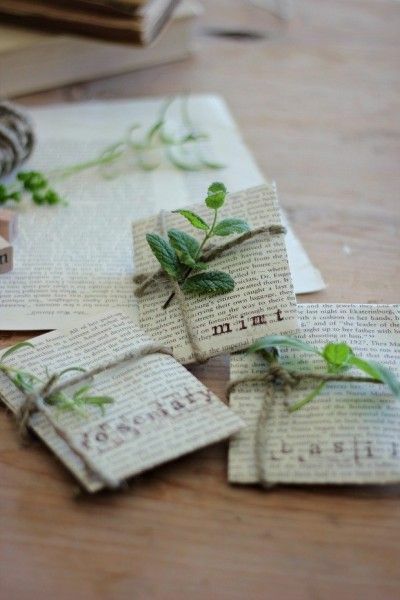 An Eco Friendly wedding is actually quite easy to achieve, just ask yourself - Can this be re-used? Has this product come from a sustainable source? Will my wedding leave a large carbon footprint? 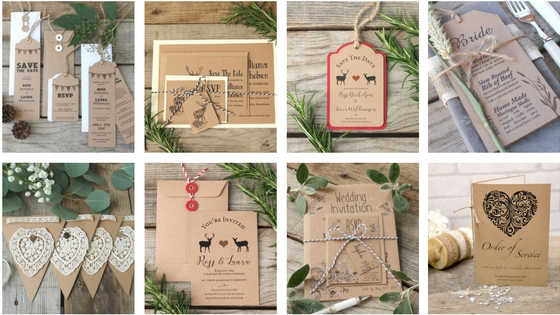 Let’s start with Wedding Stationery, which is very close to our heart. Here at Razzle Dazzle Rose we strive to use recycled materials whenever possible and we are proud to be members of The Woodland Trust Carbon Capture Scheme. We donate a percentage of our sales from card stock to The Woodland Trust for new tree growth in natural woodland. 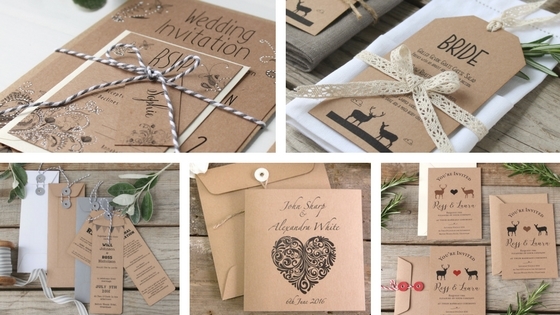 Brown Kraft card is a wonderful product and is made from 100% recycled pulp board. 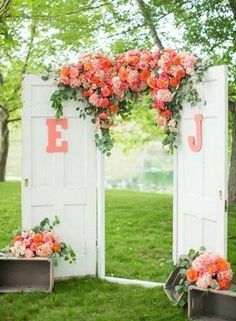 It teams up really well with other colours too and lends itself beautifully to a ‘rustic’ wedding style. Above are some of our favourites…. 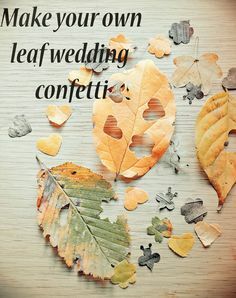 There are some gorgeous natural confetti ideas out there, we especially love this biodegradable leaf confetti. This would be a brilliant project for younger members of the family to undertake, it’s easy to do and would definitely make the children feel part of the proceedings. 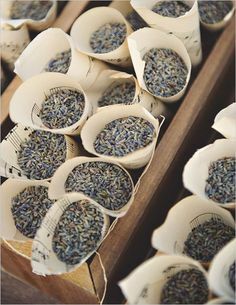 Other lovely confetti ideas are old music sheets rolled to form a cone and filled with dried lavender – just imagine the wonderful aroma! Alternatively, brown kraft paper cones can be filled to the brim with dried flower petals – very pretty! 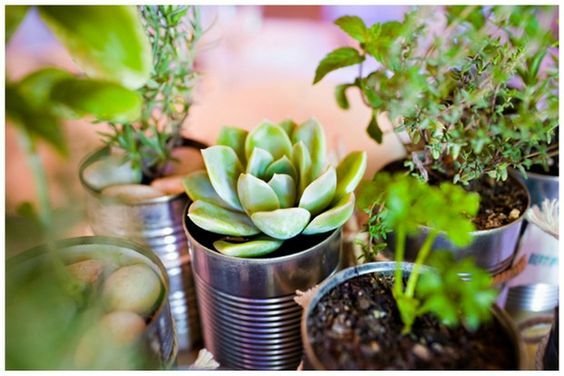 A collection of washed tins can be used for planting succulents or herbs to make an eye-catching table centerpiece. A table number tag can be made from a recycled kraft card and attached to a wooden skewer to give it a bit of height. The best thing is that these little tins can be given away at the end of the day. 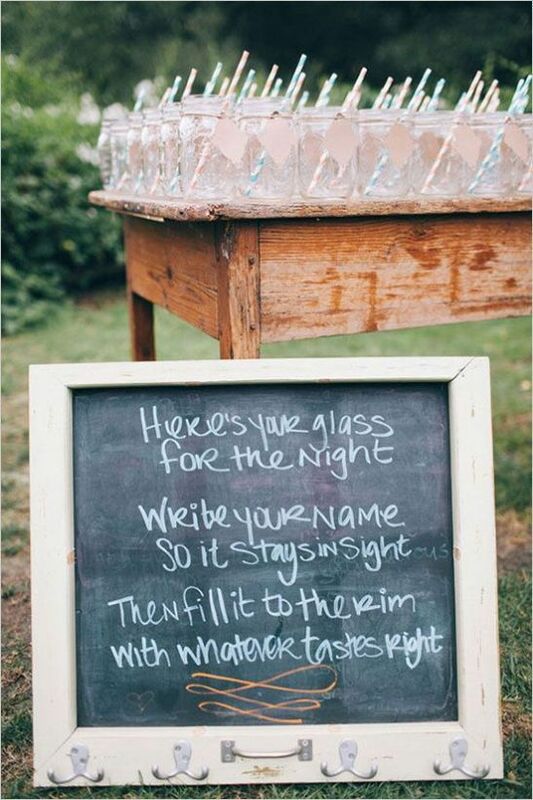 Here’s Your Glass For the Night…. This is a great idea for keeping the washing up to a minimum, if paper straws and recycled name tags are used too it’s a sure fire eco-friendly alternative to hiring lots of glasses. 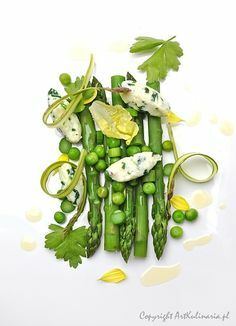 By opting for local suppliers and seasonal produce you will be helping the local community as well as keeping down on transportation costs and effects on the environment. There are some fantastic wedding hire companies around these days and you can source some amazing props for your wedding. 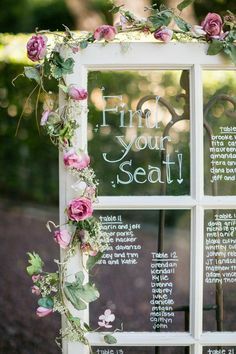 These range from photo backdrops to chalk board signs and table plans written on old window frames. All these items can be used again and again for future weddings. I am impressed to have these tips to have an eco friendly wedding. 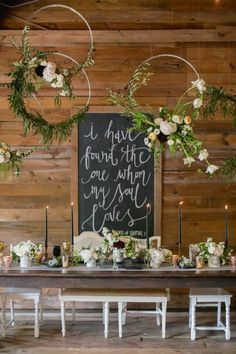 We also want to have such a DIY wedding ceremony so have been reading such posts. Hey, I need some help in finding affordable New York Event Venues. Could you please help me regarding this as well?